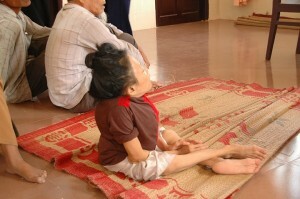 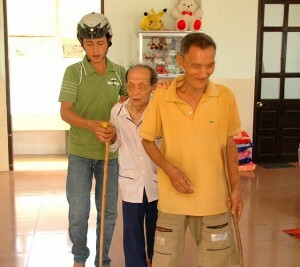 The sick and handicapped villagers of Ham Tan were invited to the orphanage for free medical services. 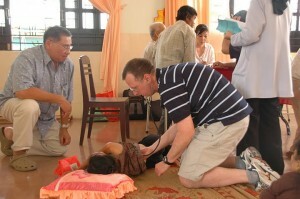 Our team of Vietnamese and American doctors treated more than one hundred patients. 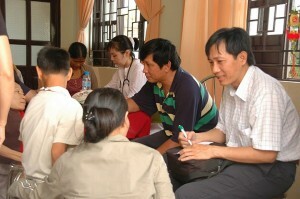 We distributed medicines, rice, flour and gifts to the villagers. 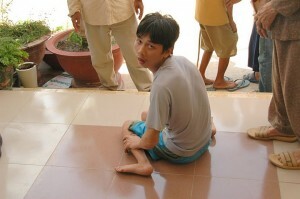 Each patient also received five dollars.